Some of the biggest names in TV and movie from right across the world have turned out to celebrate the British Academy Film Awards – and there were some incredible outfits on the red carpet. Everyone from Glenn Close and Cate Blanchett to Celia Imrie turned heads on the red carpet as they gathered at London’s Royal Albert Hall to honour movie and TV greats of the last year. Leading the way and stealing the show as she posed for photos was Aussie actress Cate Blanchett, 49, who showed off her keen eye for fashion in a gorgeous black gown with a jewel-encrusted bodice, while debuting her newly-dyed brunette locks. Wearing custom Christopher Kane, the actress completed the stunning look with an elegant pair of black pointed heels. Meanwhile, Glenn Close, 71, stole the show early on rocking a very glamorous all-black ensemble, as she posed for snaps in front of the sea of cameras and reporters. Opting for her usual cropped hairstyle, Glenn chose a standout pair of silver earrings to match her outfit. The actress was also nominated for Leading Actress for her role in The Wife. 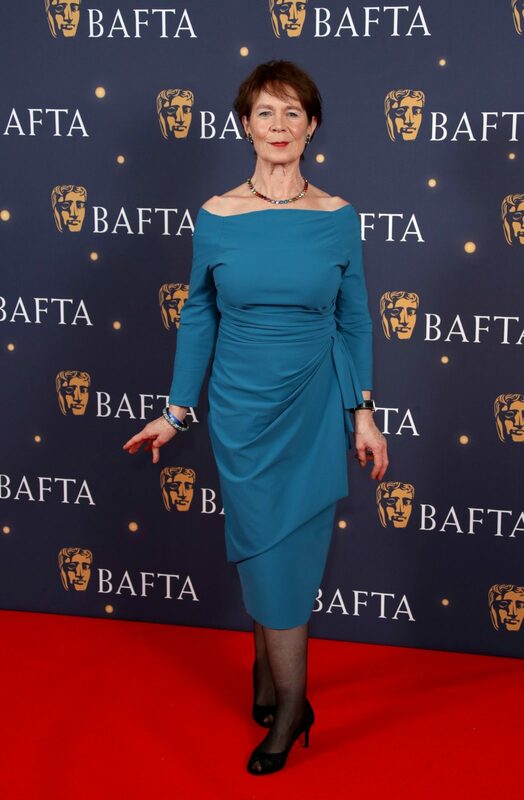 Elsewhere, Celia Imrie, 66, transformed and glammed up her usually more casual appearance in a figure-hugging blue midi dress. The standout dress, which pinched in at the waist, featured an elegant boat neckline. She completed the outfit with statement jewellery, choosing a chunky silver necklace. Celia paired the stunning ensemble with matching black pumps, stockings and a clutch. The actress opted for a simple hairstyle and kept her makeup to a minimum for the occasion. Meanwhile, Olivia Colman, took home the top gong for her role in The Favourite, gave them all competition with a very dramatic outfit. The 45-year-old actress turned heads in a gorgeous fitted monochrome gown — ensuring she fitted right in with the fashionable crowd. Standing tall, Olivia chose to pair the ensemble with black heels, adding some glitz with an eye-catching pair of earrings. She wore her short brunette locks in soft waves and kept her makeup to a minimum, which included a soft blush and red lips.